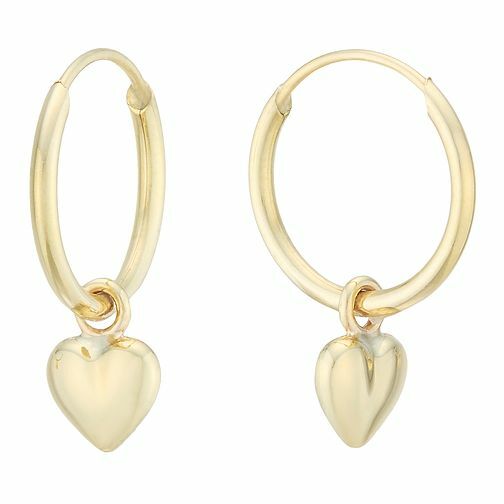 Get a simply gorgeous look with these 9 carat yellow gold heart charm design hoop earrings. Featuring a unique gold heart charm, these beautiful hoop earrings are the perfect accessory to compliment any outfit. 9ct Yellow Gold Heart Charm Hoop Earrings is rated 3.5 out of 5 by 2.